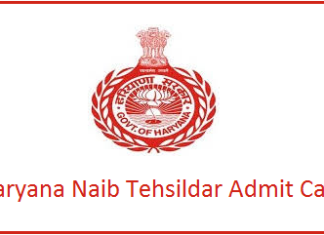 Andhra pradesh State Level Police Recruitment Board (APSLPRB) has declared AP Police constable results 2019 for the prelims test held on March 17th, 2019. In a press note issued here on Monday morning, the board notified that AP Police result for constable Final written test has been published. 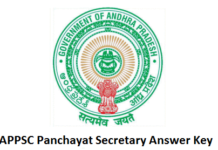 The details of AP Police constable result 2019 have been uploaded on the official website recruitment.appolice.gov.in for the candidates. 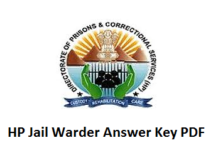 The result (Marks) for PC (Civil&AR) & Warder (Prisons)can be downloaded. Pass Candidates should also download details of their Application and submit with the correction to the Dist. Police where they attended PMT/PET. The Andhra Pradesh Police Department has conducted the AP Police Constable Civil, AR & Warder Examination across the state on 22nd January at many examination centres. Many of the aspiring candidates have appeared for the AP Police Constable Examination this year. All the applicants have focused well to get selected in the written test. The competitors can check the update regarding the AP Police Constable civil Results 2017 from the official website of AP Police Department, appolice.gov.in. For more detailed information applicants can go through the following article. The AP Police Constable Mains Exam is successfully completed, now it is the time to release the AP Police Constable Final Results. But till now the AP Police Constable Results Date is not confirmed by the officials. The officials will release the APSLPRB Police Constable Final Results in the month of April 2019 and the candidates have to wait for the official announcement. The candidates can also download the AP Police Constable Selected Candidates List in the official website. The exam scores are clearly displayed in the AP Police Constable Merit List so that you can easily that you are qualified or not. All the candidates are once again informed that qualifying marks for OC was 40% (i.e. 80 out of 200), BC was 35% (i.e. 70 out of 200) and SC, ST and Ex-servicemen was 30% (i.e. 60 out of 200). The result is prepared accordingly.